Robust, local and intelligent control of irrigation and fertigation is the hallmark of DropControl. The RF-X1 nodes are capable of tremendous control tasks, synchronized between them and with the cloud, but it was short in number of inputs and outputs, an easy interface with operators and a size and format designed in the irrigation pumphouse . That is why we have developed the new RF-C1. This new controller is fully compatible with DropControl and the RF-X1. It has some characteristics that make it especially suitable for the situation inside a irrigation pumphouse: status lights to interface, more robust connectors and the ability to connect directly with the new mobile irrigation control application via Bluetooth (android and iOS). In addition to having 10 discrete inputs, 10 relay outputs, 4 analog inputs of 4..20 mA for sensors such as pH and electrical conductivity, it also has integrated RS-485 communication for managing smart fertigation pumps or frequency converters . This characteristic means that irrigation can be managed at a different operating pressure, optimal for each sector. It is the culmination of years of experience in 3 demanding markets, diverse crops and more than 700 farms, with irrigation control and fertigation. Its price is also very competitive, cheaper than the current solution of RF-X1 with expansion modules. 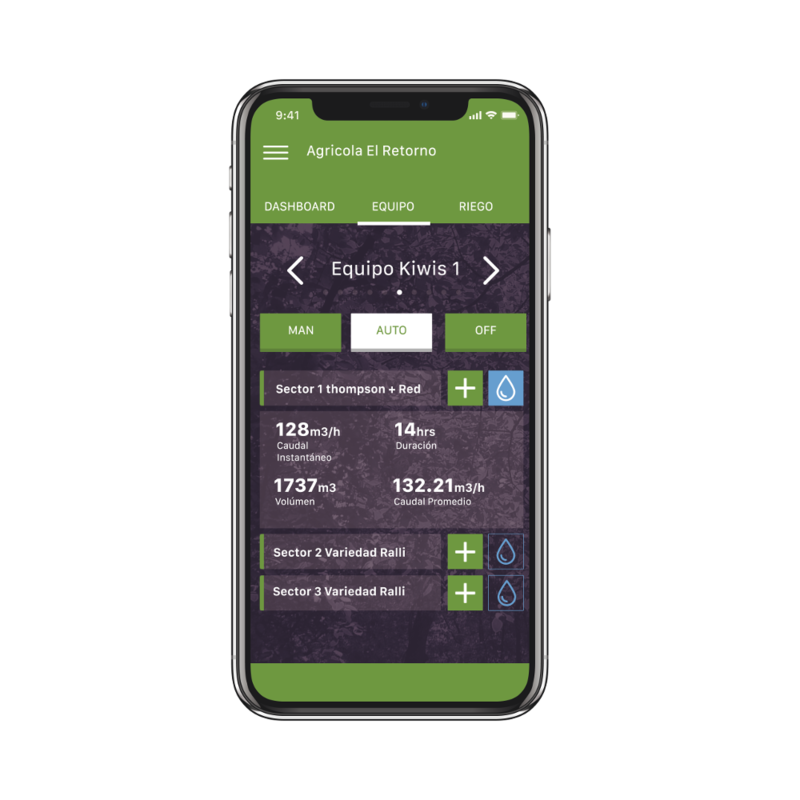 We believe that the RF-C1 is the best control solution synchronized with the cloud and will enable the total transformation of the farm to an efficient irrigation based on accurate information from the cloud. For more details, contact us at info@wiseconn.com.